Qualified doctors throughout the nation these days listen to different aspects of changes in their pay scale, grade pay, allowances and other important things. They have geared up to take advantage of positive aspects of recommendations from the 7th pay commission and refuse negative things under this commission’s suggestions. If you listen to the following details, then you can get an overview about all these things as awaited. The average pay for a doctor in India in our time is ₹5, 33,932 per year. On the other hand, the pay scale of every doctor varies as per their experiences and expertise in their profession. The overall proficiency in the diagnosis and treatment play the major roles behind the pay scale of all doctors these days. The sixth pay commission introduced the grade pay concept. The sum of grade pay and the basic pay is vital to calculate various allowances such as dearness allowance. Grade pay for doctors depends on their experiences and overall proficiency these days. However, the 7th pay commission introduced the new concept Pay Matrix. The grade pay for government employee in the lowest level is ₹1800. Doctors usually receive the grade pay from ₹5,400 to ₹10, 000 these days according to their experiences and overall successful records. Doctors in Andaman and Nicobar Islands get ₹55, 000 per month as starting salary. However, paediatricians in Madhya Pradesh get ₹ 35, 000 per month as their starting salary. The Government of India has announced that every doctor throughout the nation can get 76% of special allowance along with their basic pay. Doctors in every state of India earn as per their experiences and overall proficiency in their career. MBBS in our time earn from ₹ 20, 000 to ₹ 60, 000 per month when they have at least 5.5 years of experiences. Medical professionals with a specialization in MD or MS and more than 9 years of experiences earn from ₹ 45, 000 to ₹ 2, 00, 000 per month. Qualified doctors in DM, Mch or Fellowship earn from ₹ 60, 000 to ₹ 3, 00, 000 per month. There are many types of allowances of medical professionals in India. The most common types of allowances are fully exempted allowances, partly exempted allowances and fully taxable allowances. Doctors in government hospitals these days get dearness allowance, house rent allowance, conveyance allowance, city compensatory allowance, foreign allowance and helper allowance based on their experiences and overall skills in their profession. The 7th pay commission reduces the Non Practicing Allowance from 25% to 20%. Every doctor in India expects that this NPA allowance has to be increased from 25% to 40%. The NPA and basic pay were merged together so far for calculating the house rental allowance. On the other hand, house rental allowance will be calculated when the basic pay is less than the desired salary of a doctor. 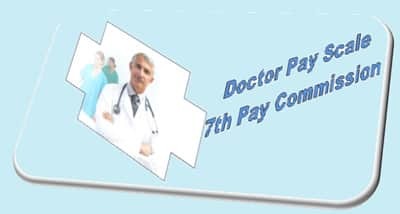 After witnessing those facilities and increments announced by 7th pay commission committee, doctors from across the nation expecting the implementation. 2 Rural India on health care Facilities Is it proven that about 50% of rural villages from India have no access to healthcare provision and many other villages has no specific doctors for providing proper treatments. 3 World Health Care Organization’s Ranking on Healthcare System of all nation As per the rankings released by world health care organization on 2000, India ranks 112 out of 190 countries on comparing its healthcare system. 4 National Doctor’s Day In India, national’s doctor day is celebrated on July 1st across the nation. 6 States which pays more for doctors In India, Kerala and Assam offers more than 50% to the doctor’s salary for those who work on special OPD’s (Out Patient Department) in public healthcare centres.